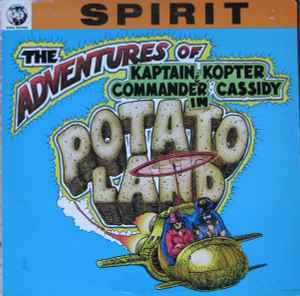 Comes with a Potatoland mail order catalogue and a 16 page comic book called "The Adventures Of Kaptain Commander & Kopter Cassidy In Potato Land". The labels simply call the album "Potatoland". Published by Aqua Blue Music / Fish Fry Music (ASCAP) except tracks B1 & B2 Published by Electro Q. Tunes (BMI).